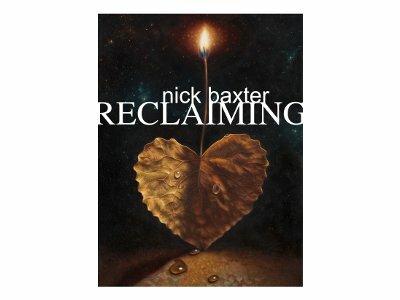 Reclaiming will be on exhibit from July 7 through the 30th, 2011. The opening reception is on First Thursday, July 7th , from 6-9 pm. Nisus Gallery is open Saturdays 12-5 pm and by appointment. The artist will be in attendance at the opening. Nick Baxter is an internationally renowned artist and tattoo artist. His creative self-expression has developed into other fine art mediums such as painting, mixed media collage, and photography. Baxter has appeared at COSM (NYC), M Modern Gallery (Palm Springs), and several others. Most recently, he wrote Sharp Focus in Realism. He currently resides in Austin, Texas.